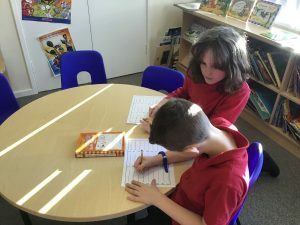 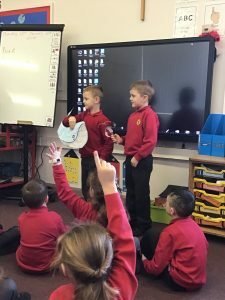 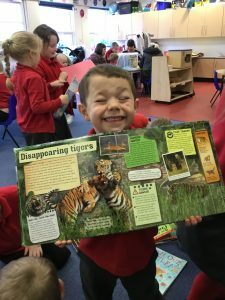 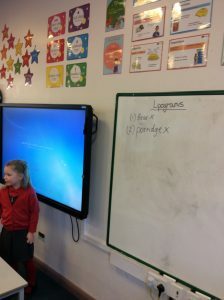 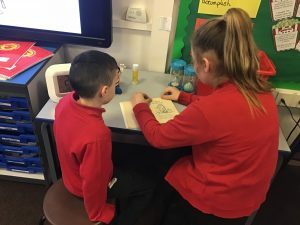 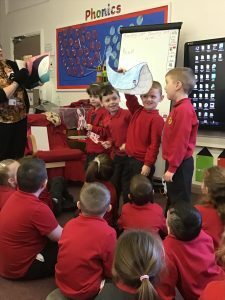 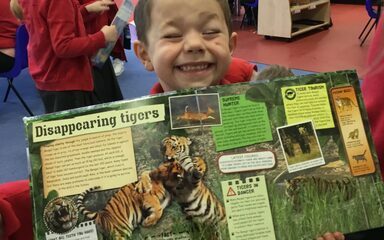 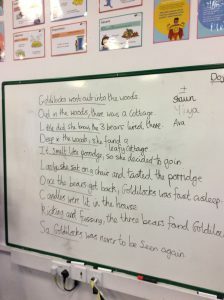 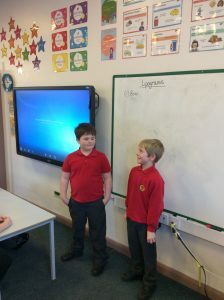 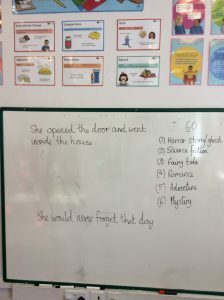 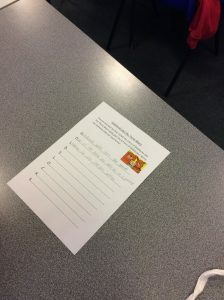 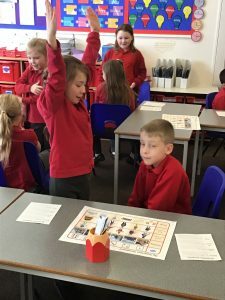 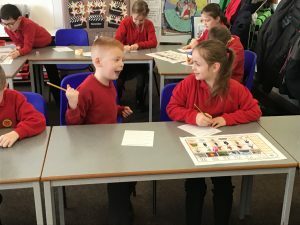 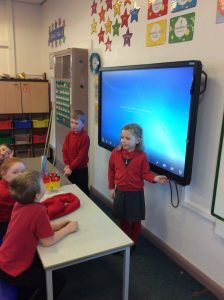 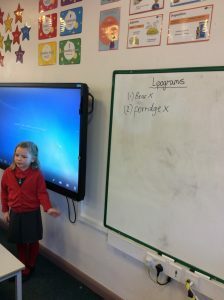 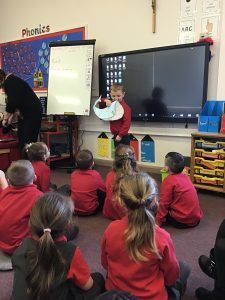 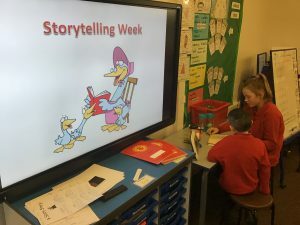 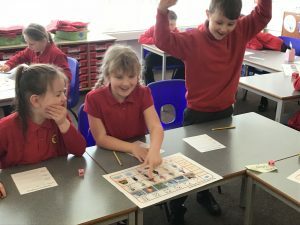 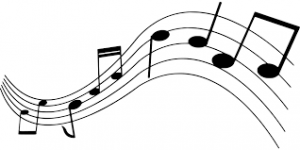 We have enjoyed so many fun activities during National story telling week. 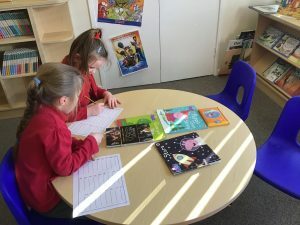 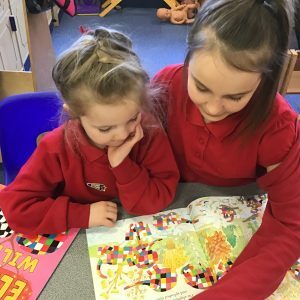 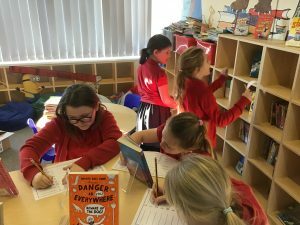 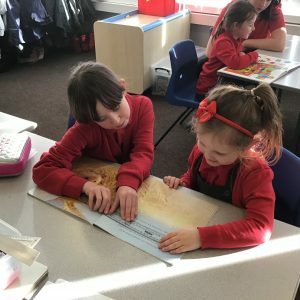 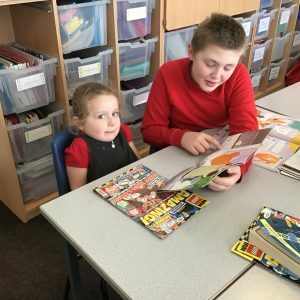 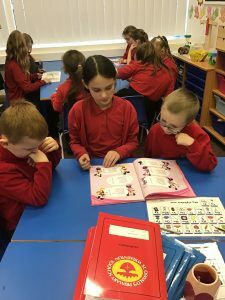 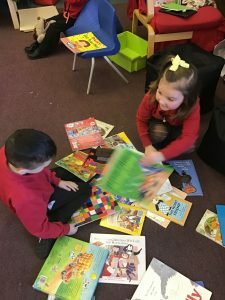 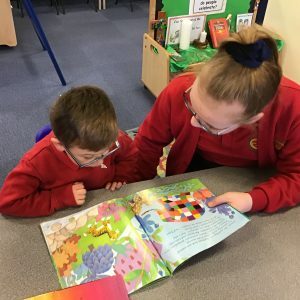 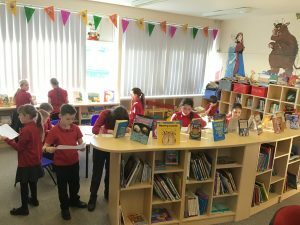 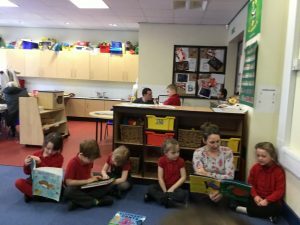 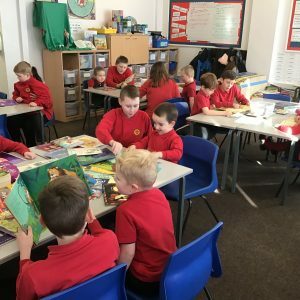 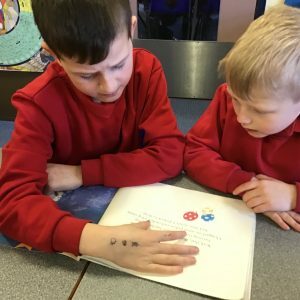 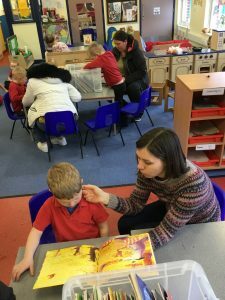 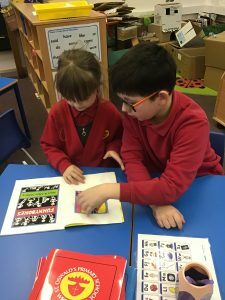 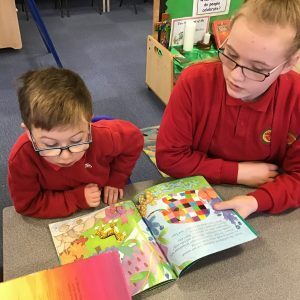 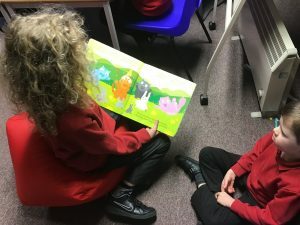 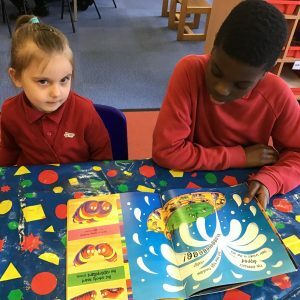 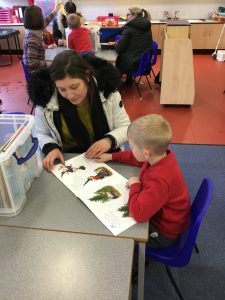 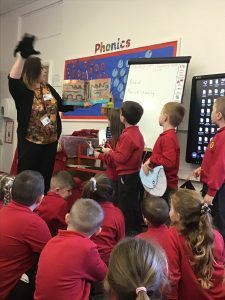 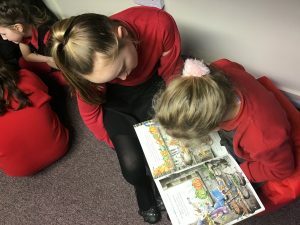 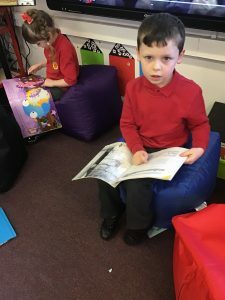 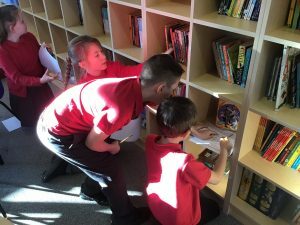 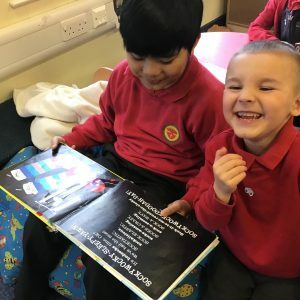 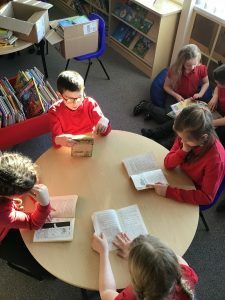 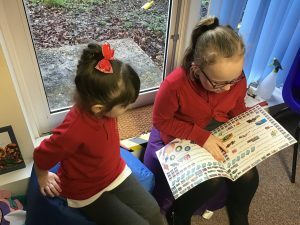 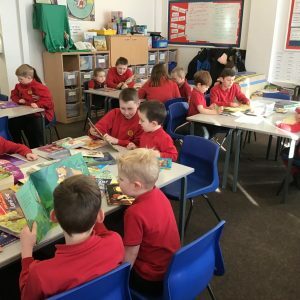 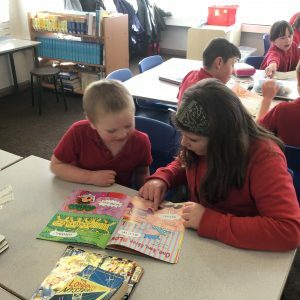 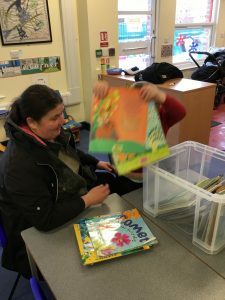 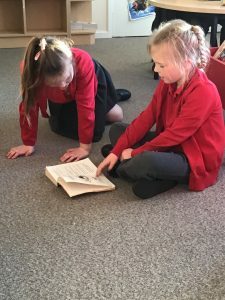 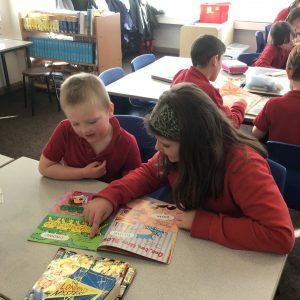 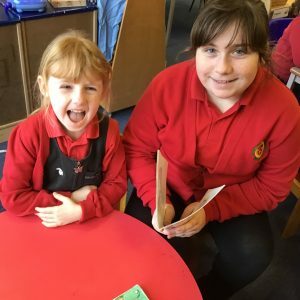 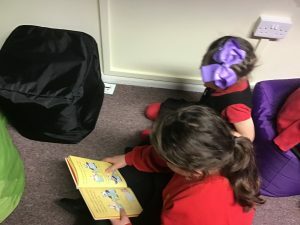 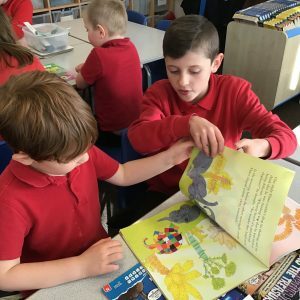 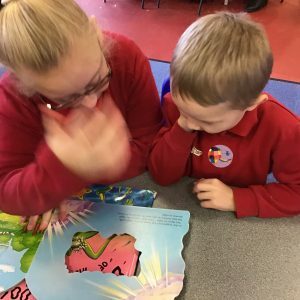 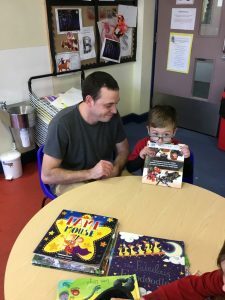 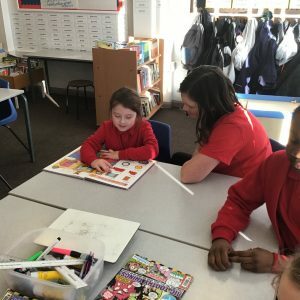 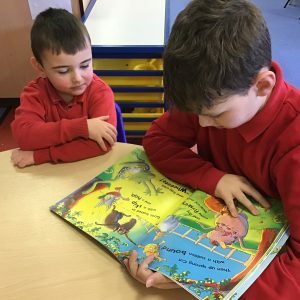 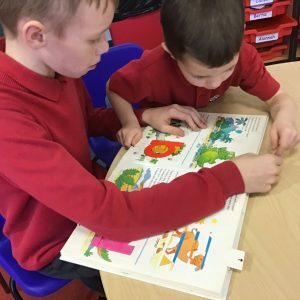 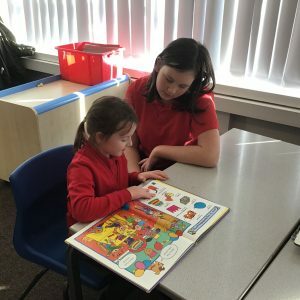 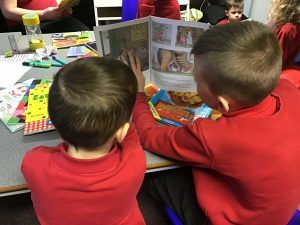 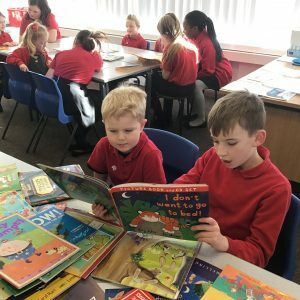 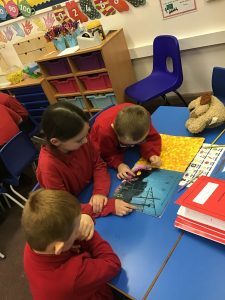 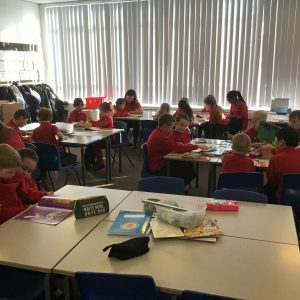 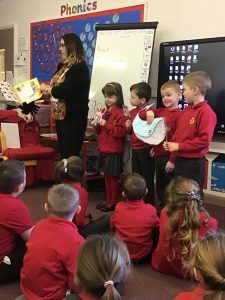 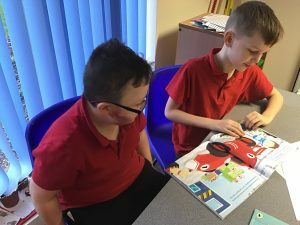 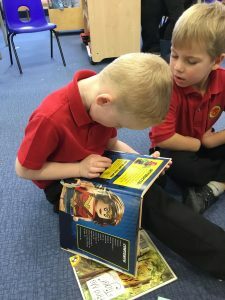 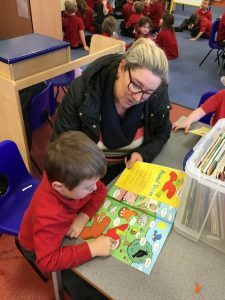 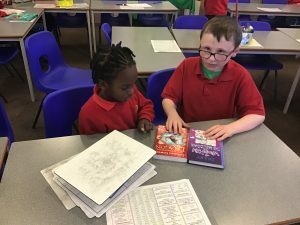 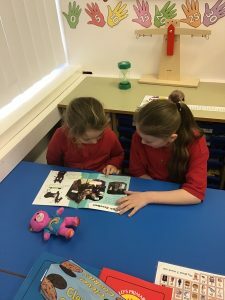 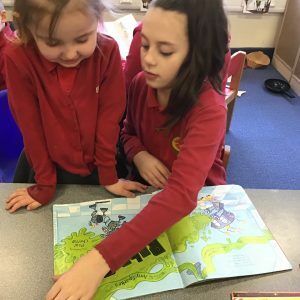 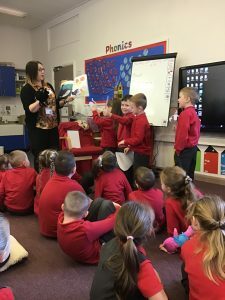 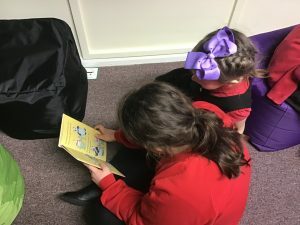 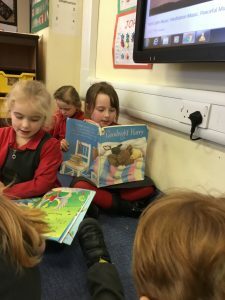 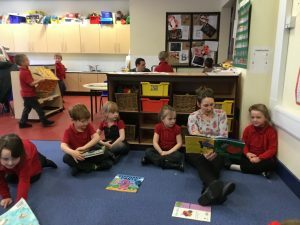 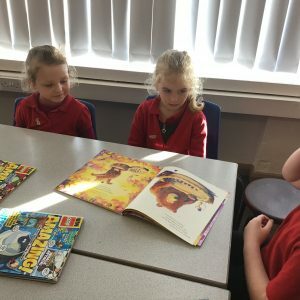 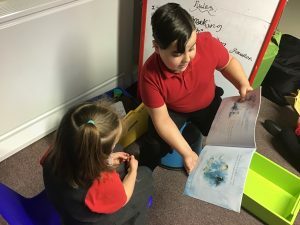 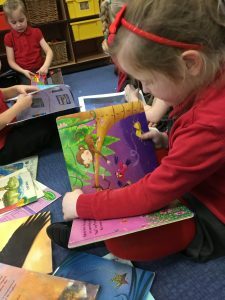 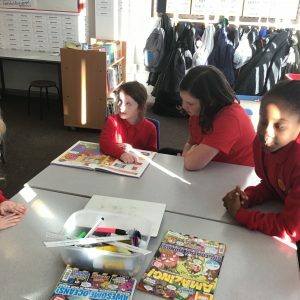 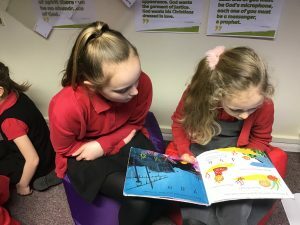 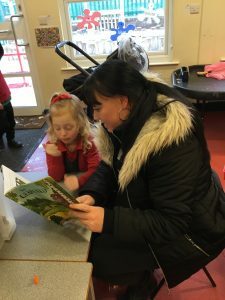 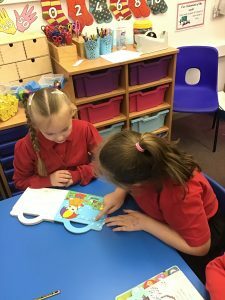 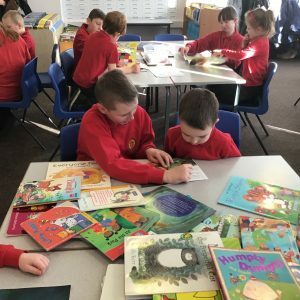 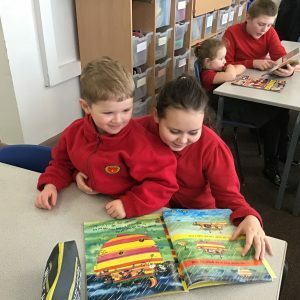 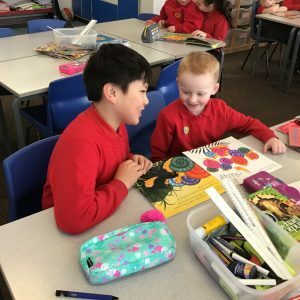 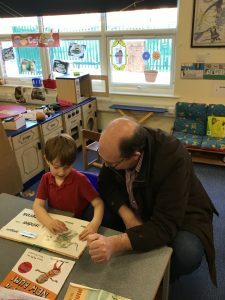 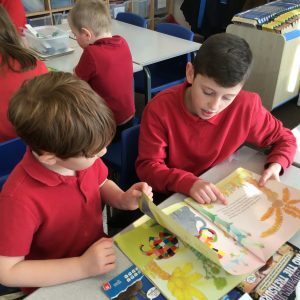 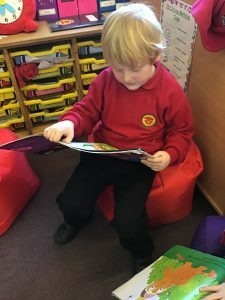 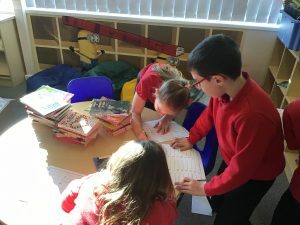 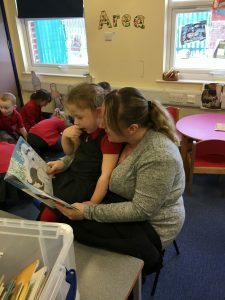 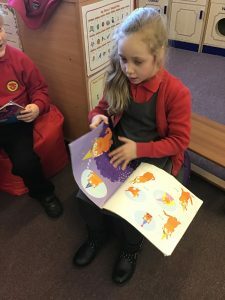 Our grown-ups came into school to read with us, we welcomed Chrissie from Wrekenton library who read a story to us, we wrote our own stories and enjoyed time in our beautiful library. 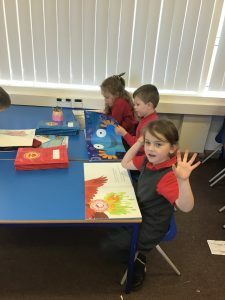 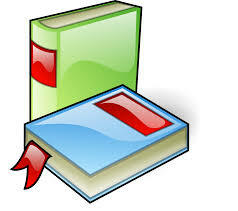 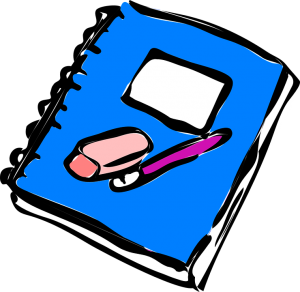 We love books and reading! 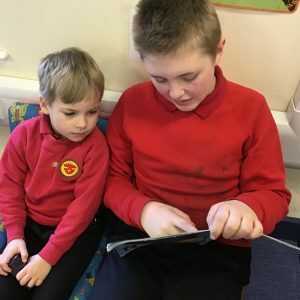 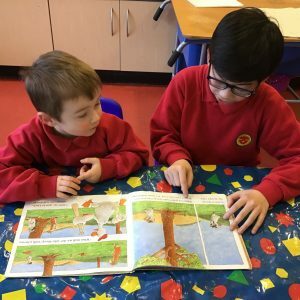 We read stories with our buddies.